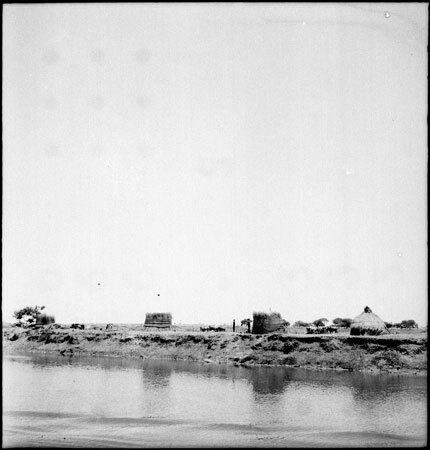 A view from a river boat towards a Nuer dry season cattle camp on the bank, with shelters and cattle visible. Morton, Chris. "Nuer dry season cattle camp" Southern Sudan Project (in development). 03 Jan. 2006. Pitt Rivers Museum. <http://southernsudan.prm.ox.ac.uk/details/2005.51.121.1/>.